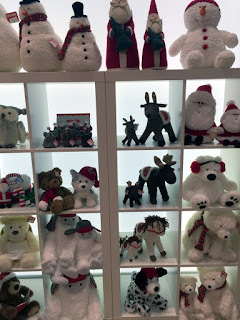 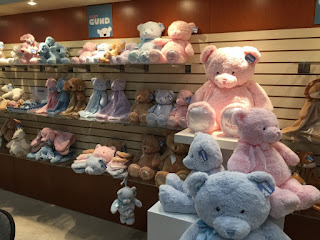 Gund I have always known for their beautiful incredibly soft plush animals and 2016 is no different after so many years. 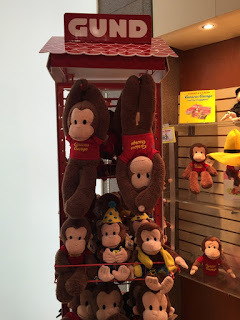 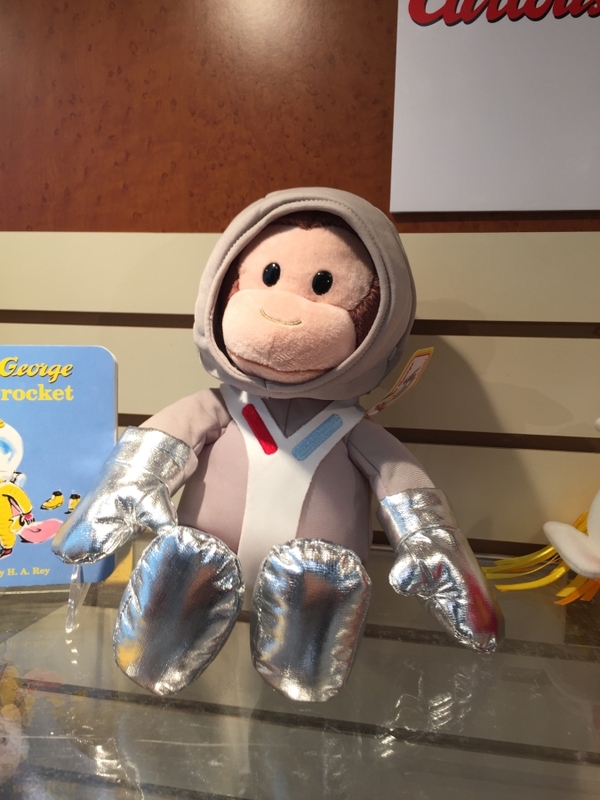 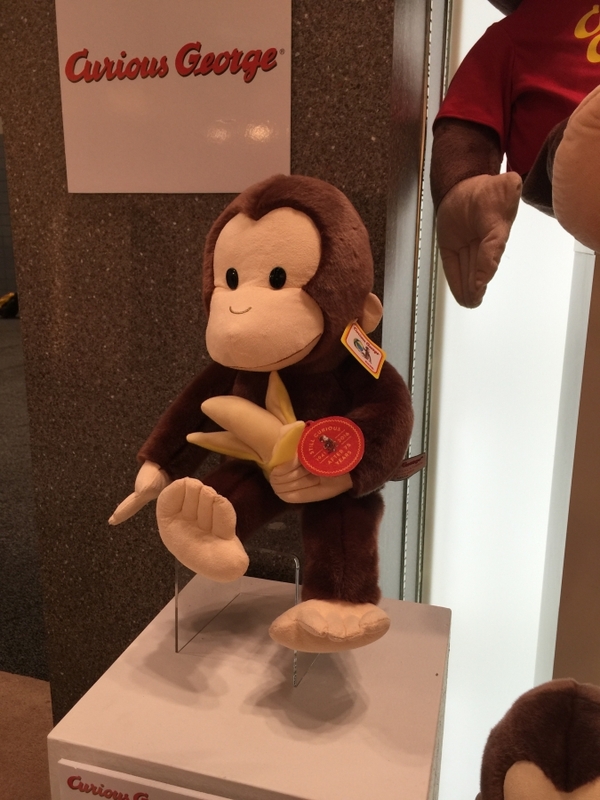 They have continued to add more licenses of which to start off with is Curious George. 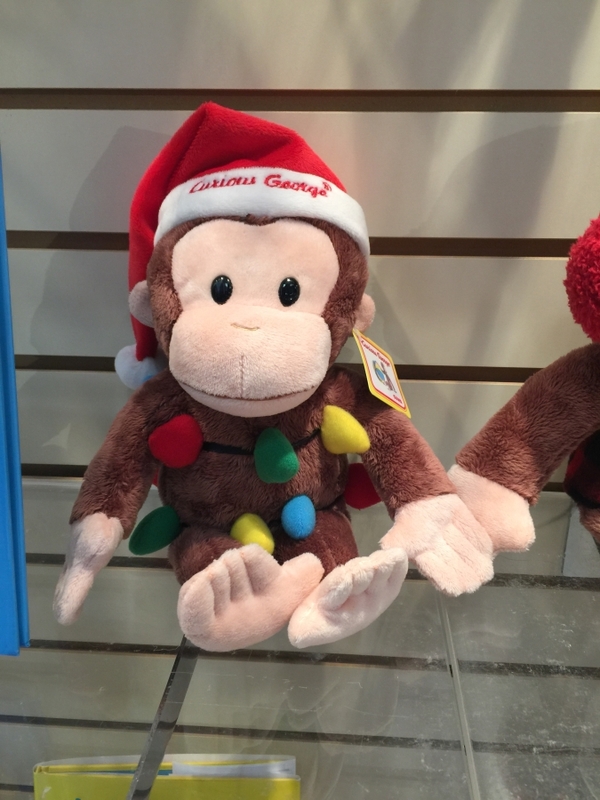 With George's 75th anniversary, the above doll is made for only this year. Also new to the Curious George line are dolls that are related to classic tales such as these two. 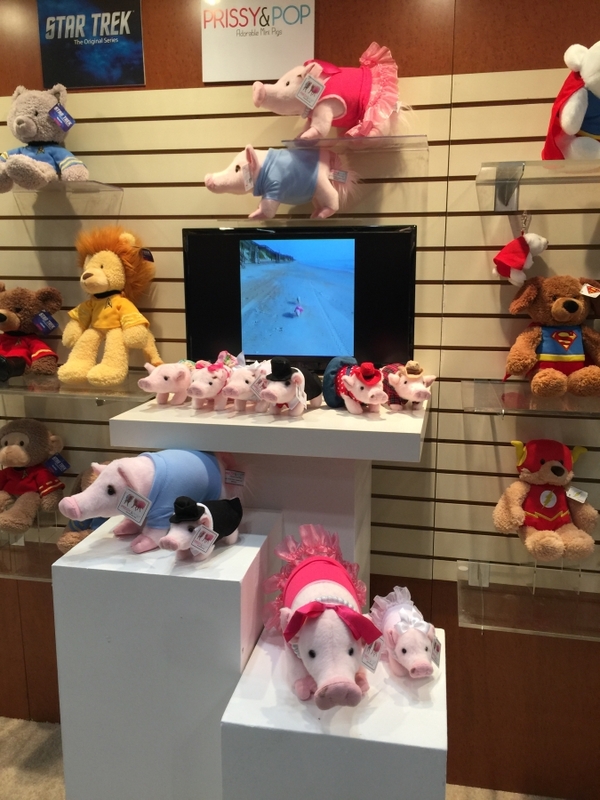 Traditional blue and pink are joined by additional colors with more accessories. 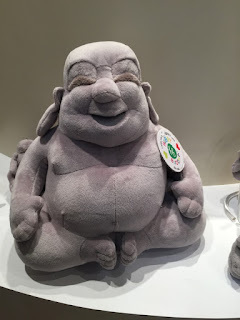 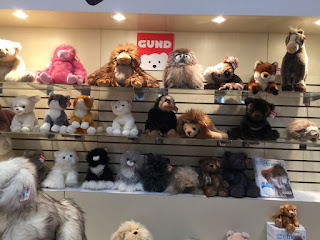 And something that I thought I would never seen, Gund's new line of Buddhas. 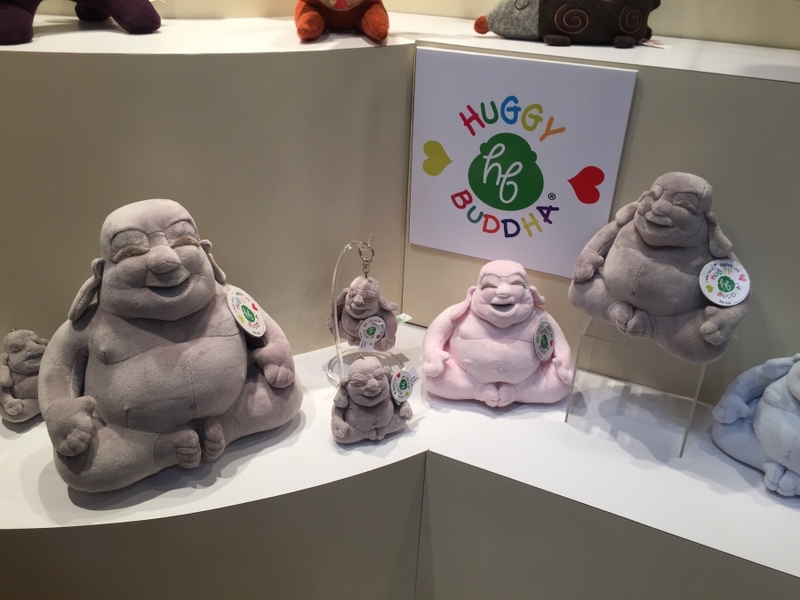 Marketing them more for their representation of wellness and happiness than the religious aspect, they hope those that are into yoga for example would pick up a happy soft Buddha. 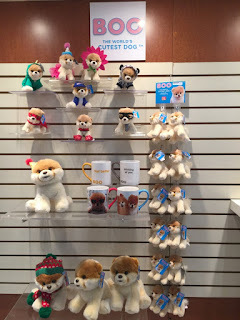 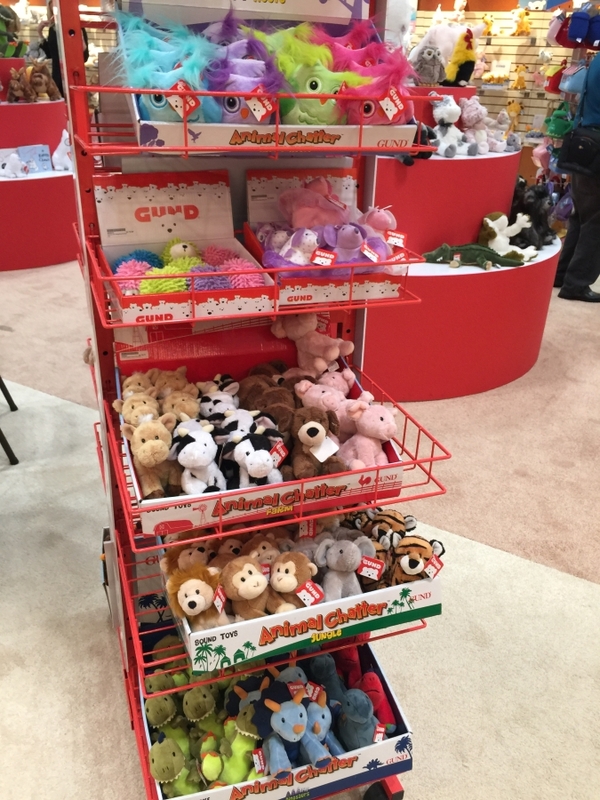 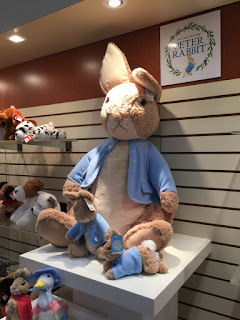 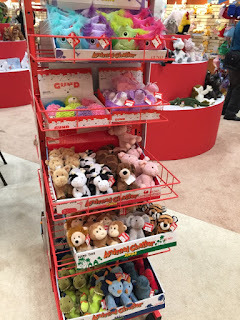 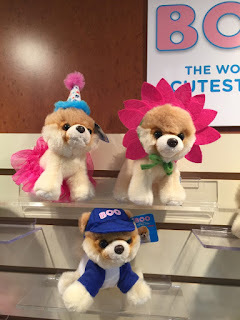 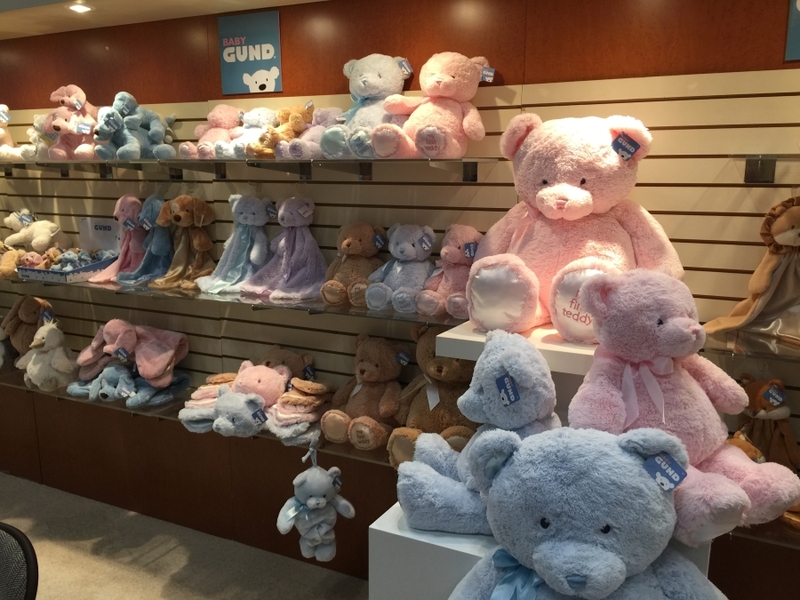 Gund's continue tradition of soft plush animals continue using old never before seen designs and updating them with current materials. 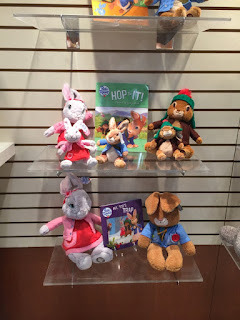 Peter Rabbit has a cartoon on television, who knew? 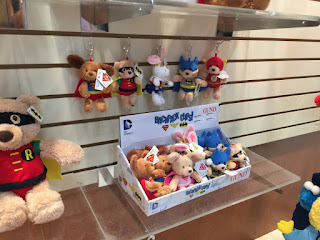 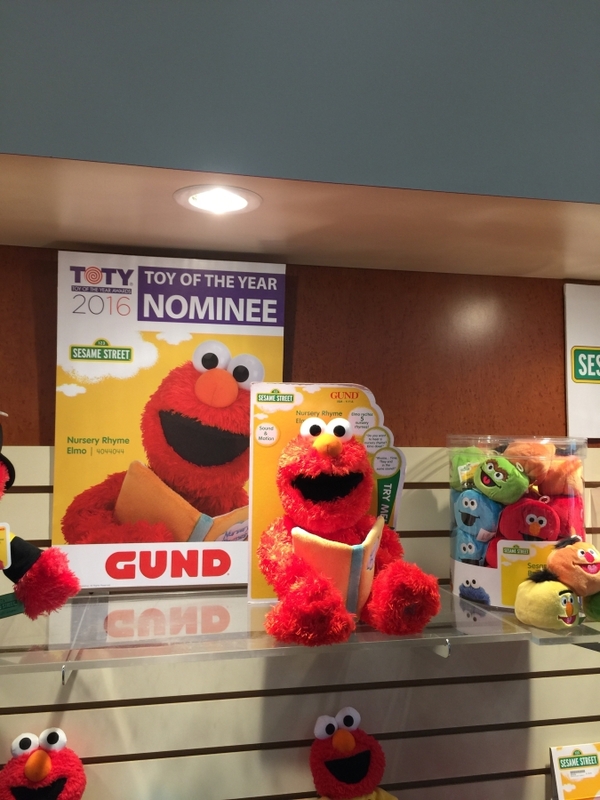 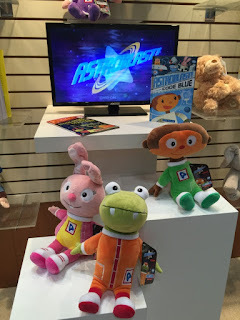 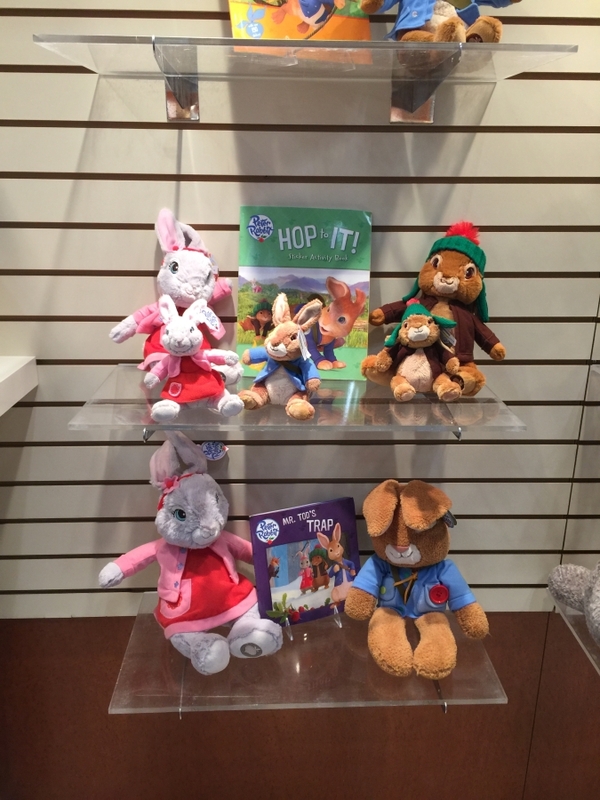 Well, the fine folks at Gund covers both bases with television version and the original book version! 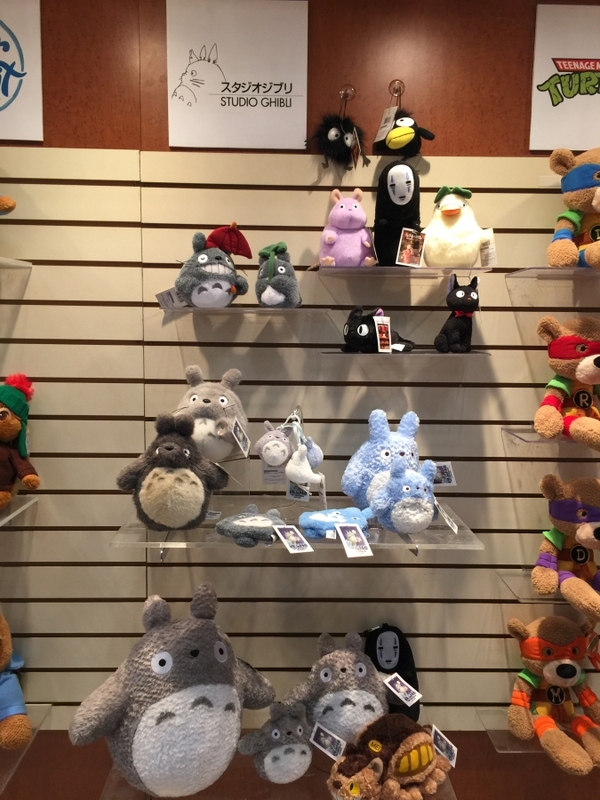 Gund started to partner with Studio Ghibli about three years ago when the studio approached Gund. 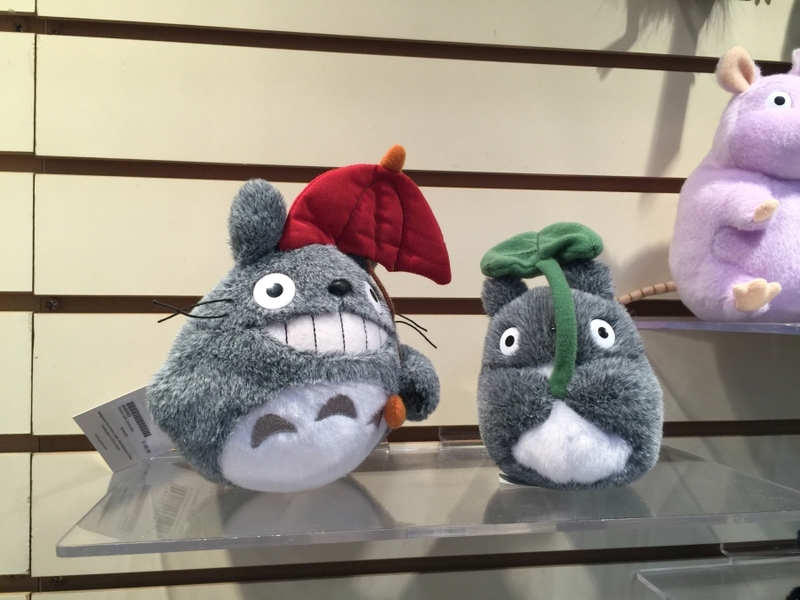 This year they've added a few more Ghibli movies into the mix aside from Totoro and we couldn't be happier. Other licenses include Teenage Mutant Ninja Turtle and Star Trek. 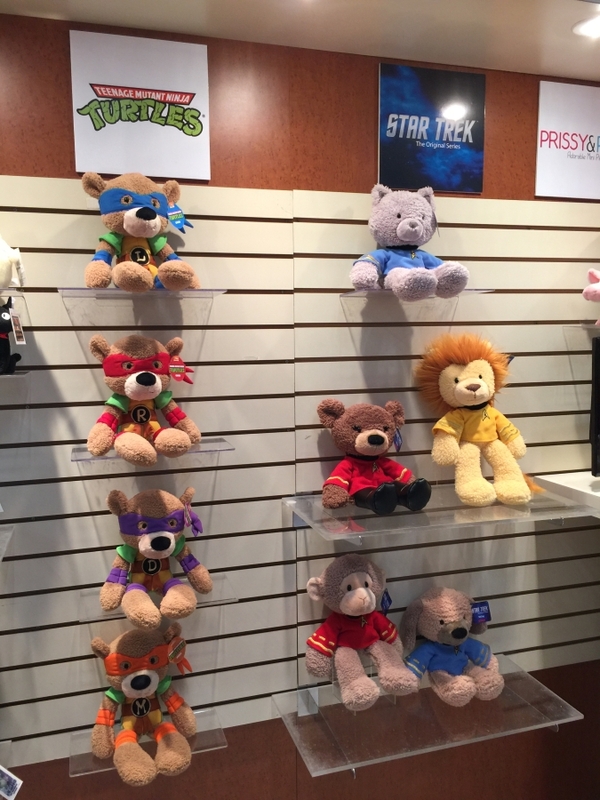 The rep pointed out that they can't actually make the turtles themselves but only bears dressed as them. 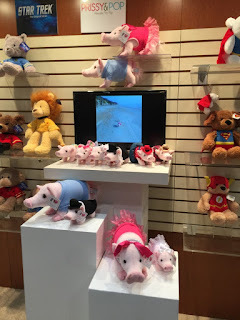 These two famous pigs actually made an appearance at their booth but I was not there that day. 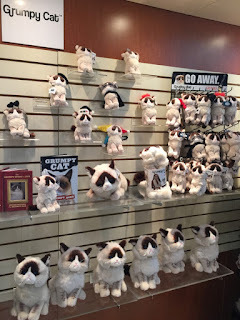 Sorry Grumpy Cat, maybe next year. 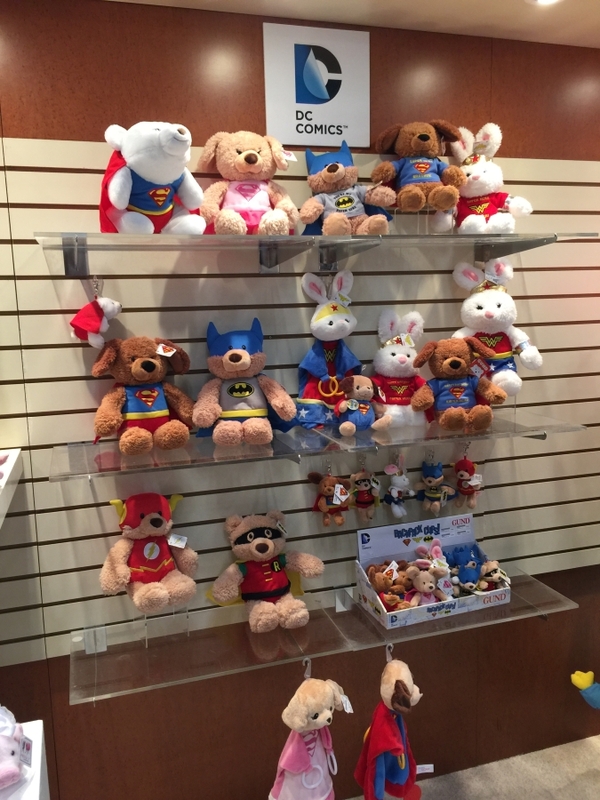 One of their top three most popular sellers are the DC Comics line. 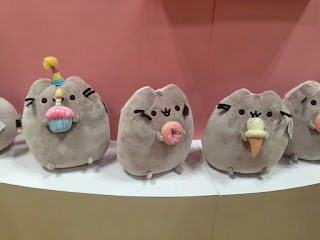 They're extremely adorable and they've added more characters! 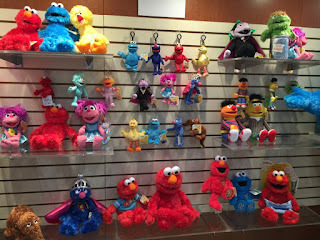 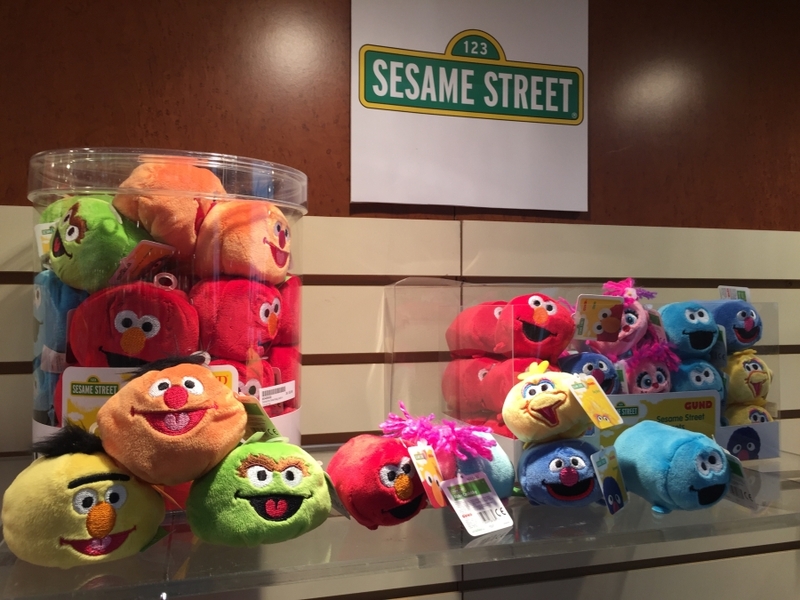 Sesame Street is well represented by Gund with its larger line of characters to choose from, more than other doll makers. 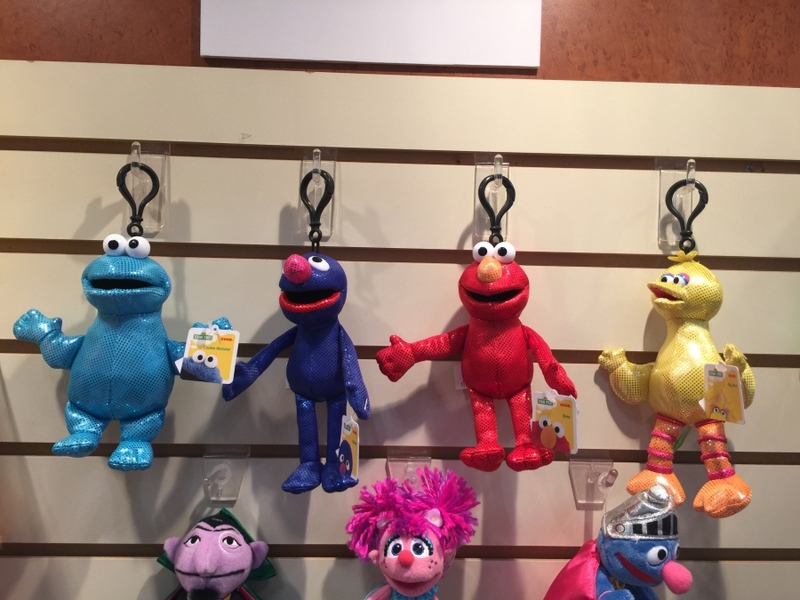 The four glitter keychains below are new to Gund's Sesame Street line. 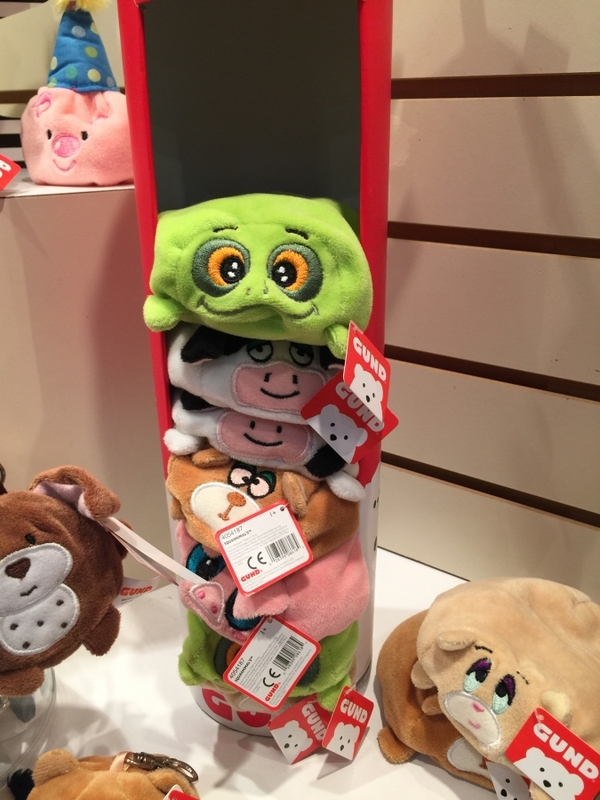 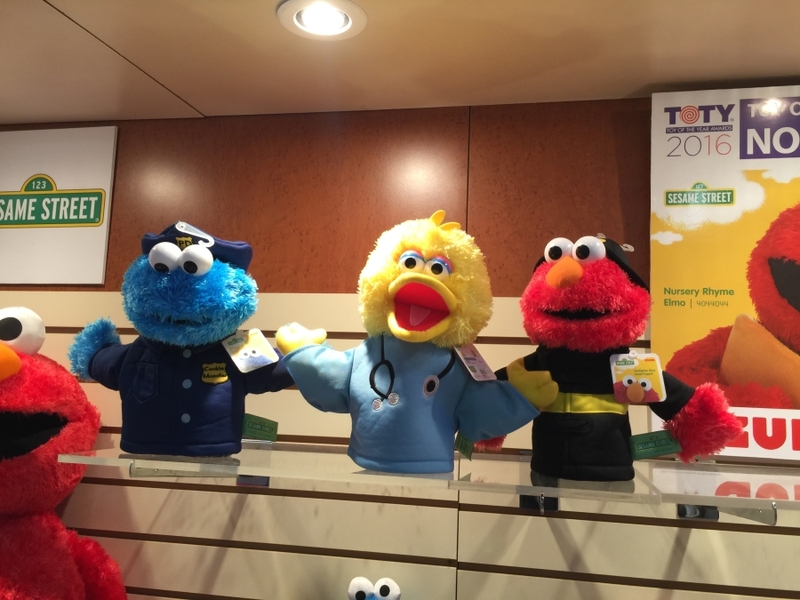 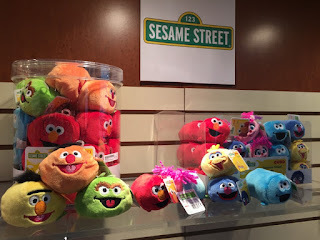 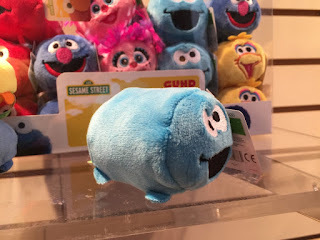 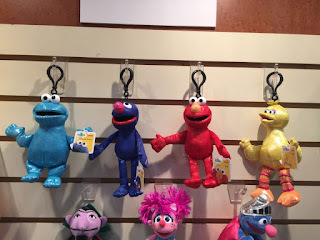 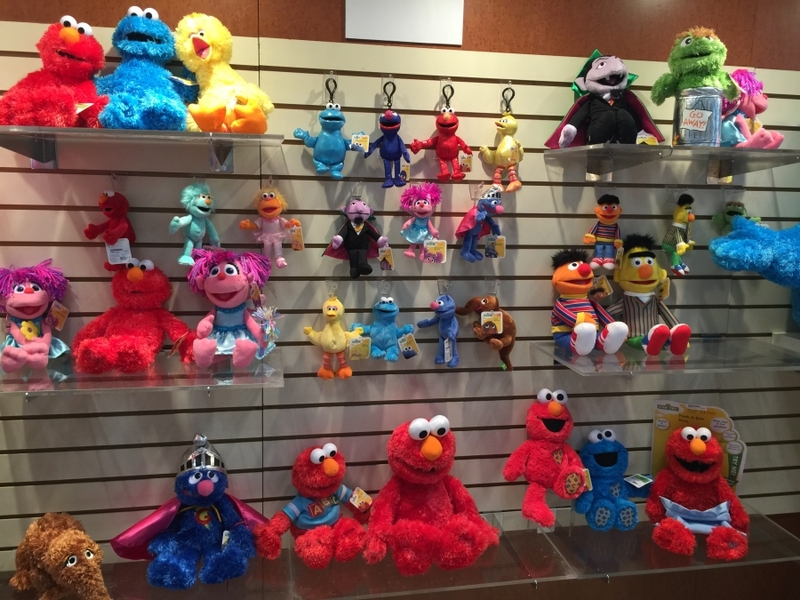 New to Sesame Street Gunds are also the profession puppets! 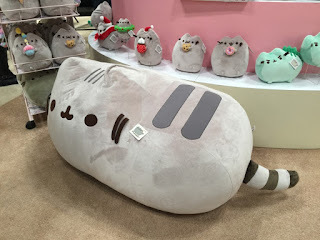 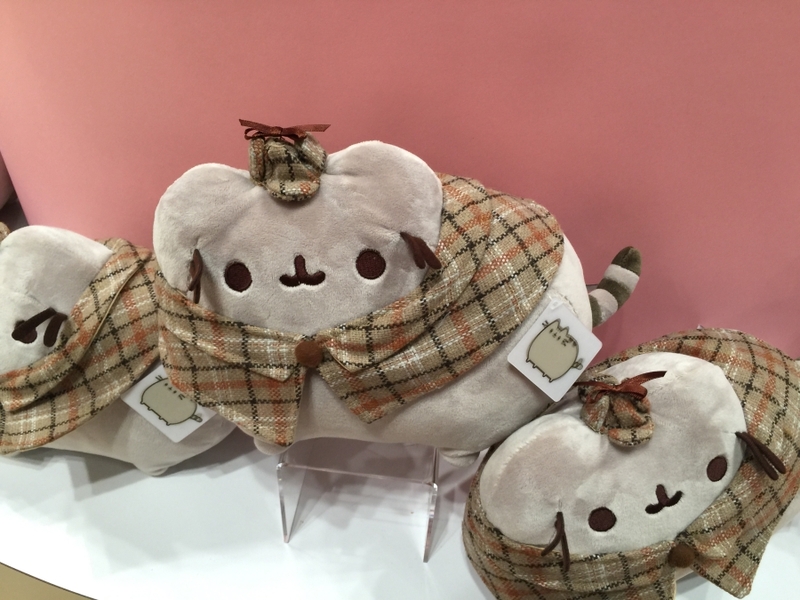 Another of their top sellers is Pusheen the Cat. 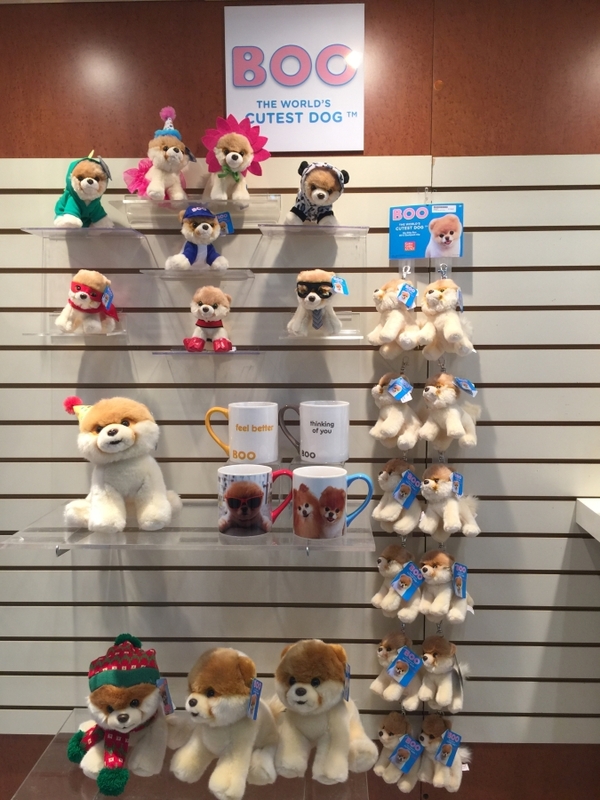 The internet sensation is playing into a big part of Gund's 2016 line due to their success with the feline. 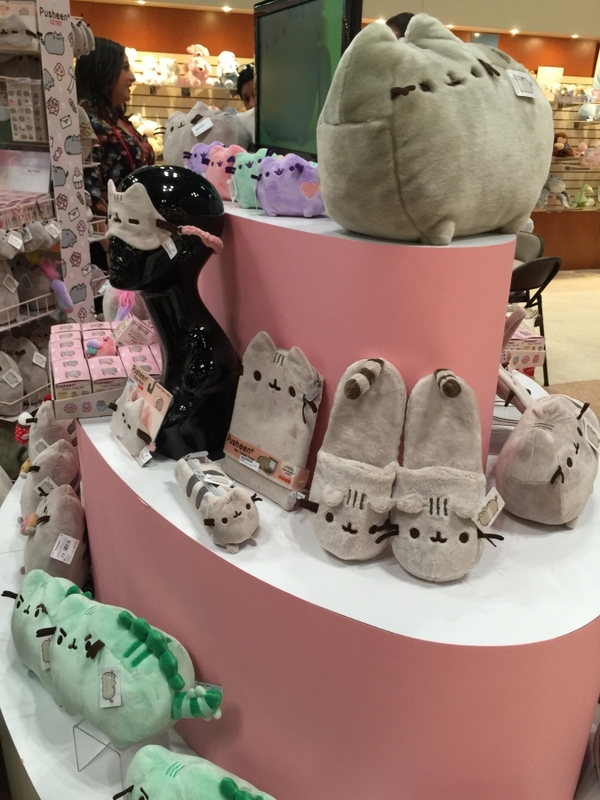 Various variations, accessories, and small mystery blind boxes make for a great year for Pusheen fans. 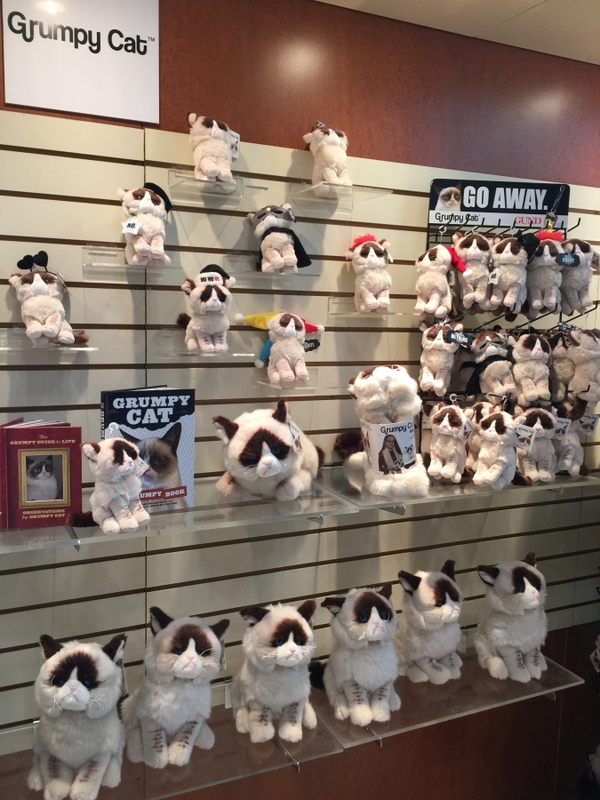 And of course other viral internet animals like Boo and Grumpy Cat continue to be represented. Last but not least are their holiday line.